Renault famously brought the idea of MPVs to Europe with its Espace, though the smaller Scenic was the massive sales hit. Not as revolutionary as its pioneering predecessor, the Scenic II remains a thoroughly competent and desirable family car. Bigger than the first Scenic there's more cubbies and stowage areas than anyone could ever need. The seats all slide individually, allowing lots of interior versatility, while those needing more than the Scenic II's standard five seats can opt for the Grand Scenic, which adds another pair in the boot. 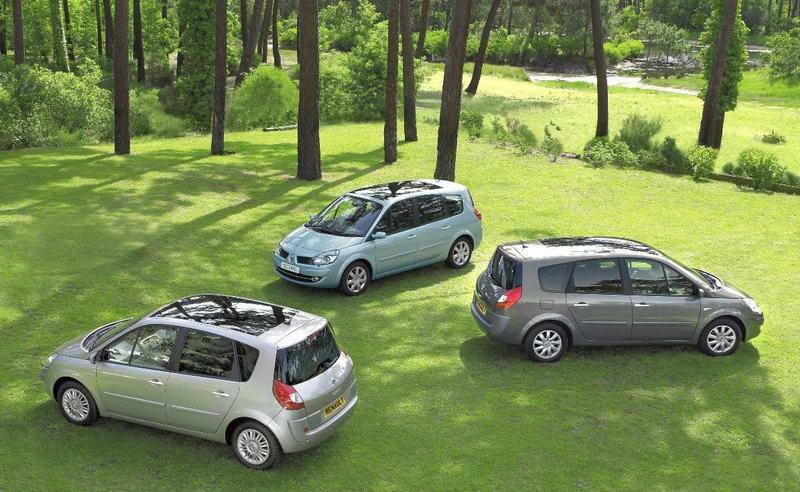 The Renault Scenic is a useful, spacious family car for those wanting lots of room on a budget. The only concerns might be poor reliability with advancing years and the fact that emissions are high - as a result of the Scenic's age.